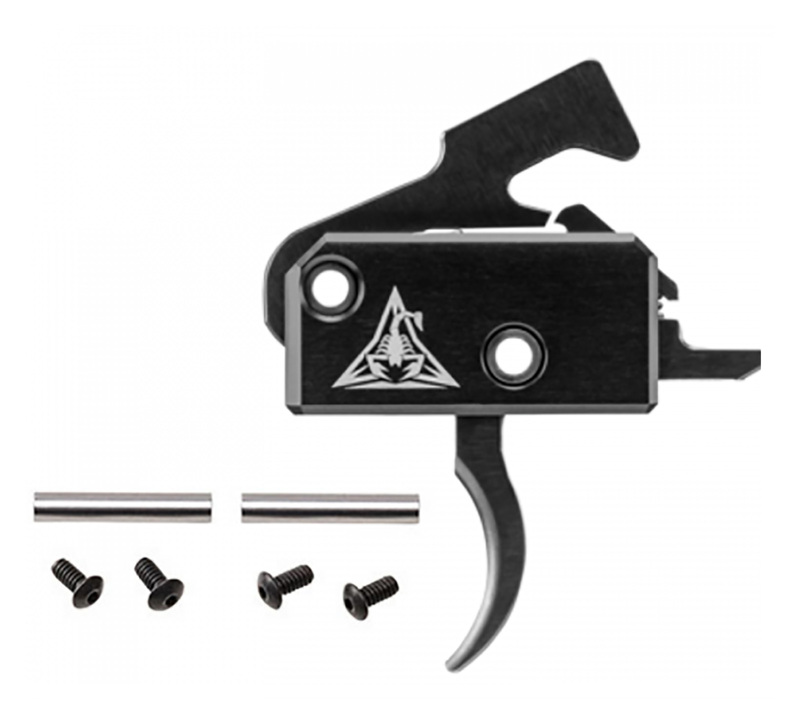 View cart “AR-15 Lower Parts Kit / Shockwave Pistol Blade” has been added to your cart. The Rise Armament Black Fallout Super Sporting Trigger is a high-performance, cost-effective upgrade to replace your Mil-Spec trigger. This easy to install drop-in kit provides a crazy-fast reset, nearly non-existent over-travel, and a smooth, crisp, and consistent 3.5lb. single stage trigger pull. Trigger reset is how much movement it takes for the trigger to move back into a ready to fire position, so it is extremely important for competition because it allows you to pull the trigger faster than a standard Mil-Spec trigger. Over-travel is how much the trigger continues to move rearward after the trigger breaks and a round is fired; like the reset, minimal movement is optimal for fast follow up shots when every millisecond counts. The trigger bow is a standard curved design that gives you optimal control of the trigger. Another benefit of the Black Fallout Trigger is the redesigned hammer with a drop safety catch. This safety feature ensures that no matter how short the pull and reset may be, this trigger will remain drop safe so you can have confidence that your rifle will not fire until you’re ready. Rise Armament is committed to quality and success, and you can see that in their weapons. All Rise parts are manufactured according to strict AS9100 and ISO9001 2008 certified procedures and must pass stringent QA inspection before leaving their facility.